Dogs, just like humans, are susceptible to ailments such as colds, kidney failure and even diabetes. They also require regular checkups and vaccinations to stay in proper health. Many diseases afflicting dogs can be diagnosed by specific rashes and fevers on their bodies. Originally believed to be a human pathogen, Rocky Mountain spotted fever was first recognized in dogs in the 1970s. The disease primarily affects dogs less than 3 years old who have been exposed to tick habitats. A red rash is the most commonly associated symptom; however, this rash is often seen more in humans. A 102.6-104.9 degree fever five days after tick contact is prevalent. Other symptoms include edema – fluid buildup or swelling – in the dog's outer extremities such as the scrotum; vascular, or blood-flow, collapse; and bleeding. Treatment for RMSF in dogs involves twice-daily injections of doxycycline for smaller dogs or tetracycline injections three times a day for larger canines. Lyme disease is one of the most common tick-transmitted diseases. Infected dogs usually show symptoms such as fever, lameness of limbs, fluid buildup in the stomach and kidney failure. 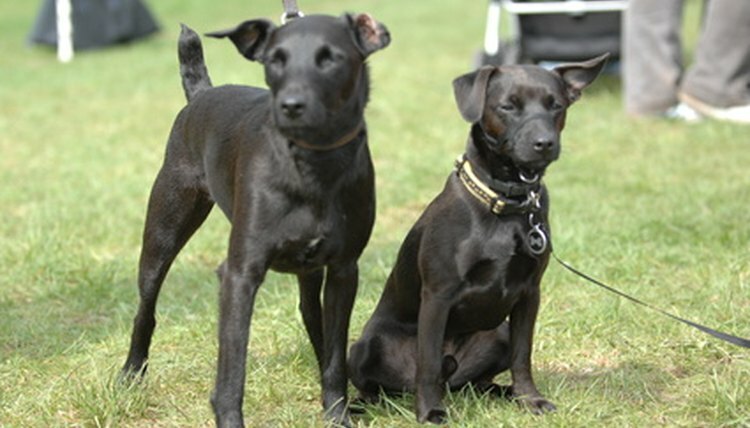 A complete blood profile is performed on dogs suspected of harboring the disease. This is used to check for bacteria and parasites in the bloodstream. Other indicators of an infected dog's health are whether the wound is still open and whether fragments of the tick remain. Treatment usually includes administering antibiotics for four weeks. Vaccines are available to protect dogs from the disease. Leptospirosis is a bacteria-based disease primarily affecting animals. The disease is contracted through contact with contaminated animal urine. Symptoms in dogs include fever, vomiting, refusal to eat and renal disease. Dogs can acquire the disease by coming across contaminated water and rat or raccoon urine. Treatment is usually with antibiotics. A vaccine is available to protect dogs against the four most common Leptospirosis variations, including L. canicola, L. icterohaemorrhagiae, L. pomona and L. grippotyphosa. Valley fever is predominant in dogs who live in the southwestern United States. The disease is transmitted by inhaling fungal spores usually found in arid desert areas. Canine valley fever commonly affects puppies, older dogs and dogs with weakened immune systems. Dogs with exceptionally strong immune systems, however, can easily fight off the infection. Symptoms include a 102-degree fever, hacking cough and constant fatigue. While usually not fatal, treatment should be sought immediately, as symptoms can worsen over time. Treatment usually includes an antifungal medication for six months to a year.